My Favorite Podcasts of 2015 t.. In 2015 Stop Doing It All and .. 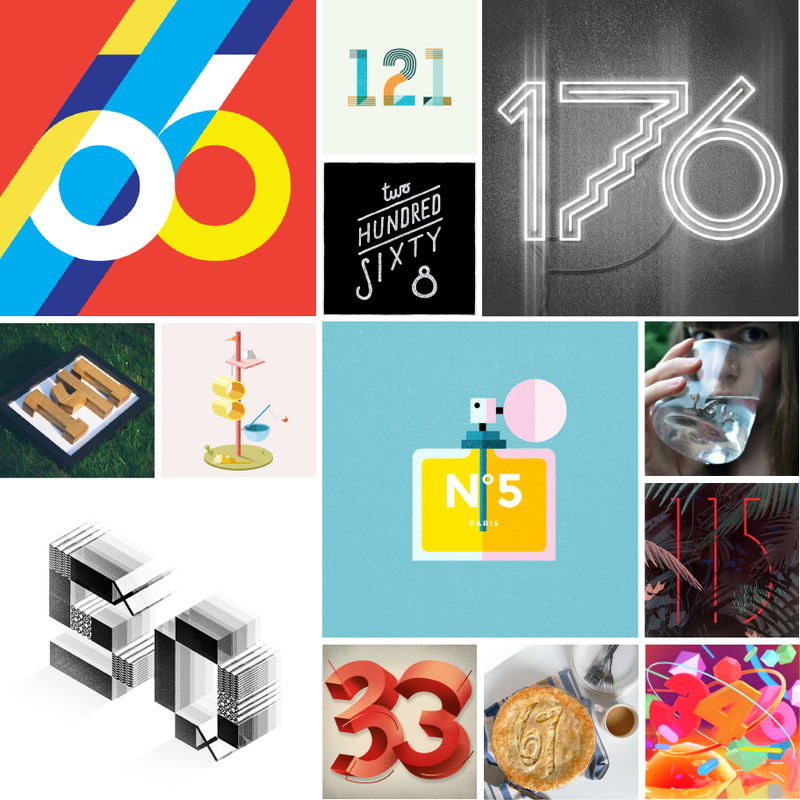 Image above: 66 by Stephen Chong, 121 by Kelsea Dill, 268 by Joshua Lee, 176 by Ben Buysee, 141 by B. Finlay Millwork, 184 by Carol Liu, 5 by Michael Brewer, 164 by Jesse Bromm, 115 by Miko Maciaszek, 50 by MAAN Design, 33 by Dave Murray, 67 by Kristen Cesiro, 346 by Michael Janzen. Organizing a free-for-all open-source art project is and was a huge undertaking. If I’m being honest, 2014’s 365 Days of Type was harder even though others made the numbers every day than when I made every single number every day in 2013. Overall, this project was more about managing expectations, staying organized and chasing people than I had initially anticipated. It was fun at times, it was frustrating at times and I learned a lot. Here are some of the life and business lessons gleaned from it. I was pleasantly surprised by some participants who rose to the occasion and sent their pieces days or weeks in advance with all posting caption information. And others, though I sent reminders a week in advance, a day in advance, and the day of, just never got back to me. It was the people who were most busy with the most on the go who submitted in advance because their time is simply more valuable. If you don’t have a lot of time to give, every minute is so precious that you use your time more efficiently. I found many of these people submitted early just to get it out of the way so they could free up their time later when something more pressing could potentially arise as it always does. Ooooh man, this one might make the top of my list. As a freelance illustrator and designer, part of my job is making sure my work is done by the time the client asked it to be, but if I’m ever unable to meet it, I believe in telling the client as soon as you know you can’t. There’s nothing worse than hearing from someone the day of that they can’t make it, mostly after prompting them for an update. In every case when someone didn’t submit, I wish they had just told me in advance so I could come up with a back-up plan accordingly. It’s rude and inconsiderate to not say anything at all hoping they don’t notice. Warning: They will notice–and they will remember. I don’t recall every person who apologized that they couldn’t do it, but I do remember the people who simply said nothing at all and didn’t submit. Over the year, I definitely had my personal favourites (some of which are in the header image). And I was surprised and intrigued to see which numbers the general public liked or didn’t interact with. Sometimes it was the super rough, hand-drawn stuff that floated people’s boats, sometimes the most colourful and digital. There was never a rhyme or reason or pattern I discerned as to what was “successful” other than people tended to like when there was a story or context in the caption. People like concepts and stories but from a visual standpoint, what people like is so random and subjective. I received submissions from Puerto Rico, Israel, Korea, Brazil, Venezuela, Africa, the UK, Istanbul, Italy and more. I’ve also received recognition for it from Design TAXI, Creative Bloq (Computer Arts Magazine), Under Consideration, Allan Peters Blog, BOOOOOOOM, Reddit, Inky Goodness & more. More than anything, this project has shown me the power of the internet. You really can reach an audience that spans the globe and this reach is exponential. The power of social media for small or starting businesses is massive. To be honest, I didn’t even try or take advantage of it as much as I could have and that is a huge lessons and my biggest takeaway.